To achieve sound knowledge of ecosystem functions we need to understand the community ecology that underpins the ecosystems. This is so that critical habitats, connections and metabolic functions can be protected. This knowledge also needs to develop our understanding of how ecosystems respond to change. Our expertise in invertebrate community ecology has been a fundamental aspect of the history of the Centre. 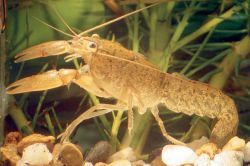 Invertebrate ecology projects have focussed on the biodiversity of fauna, gauging the distribution of endangered species, evaluating the spread of invasive species, and determining the health of the rivers in response to climate, flow, water quality and river management changes.